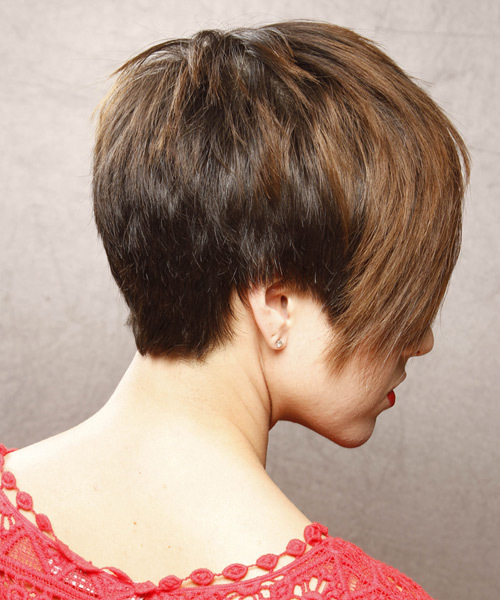 This cool 'do is tapered down to the nape, while the top and sides are jagged cut to achieve a wispy finish all over. This look is perfect to compliment a long face and needs product to pinch put the ends. Regular trims is needed every 4-6 weeks to maintain this shape.